Patrick Barsotti, a native of Boyle County, returns to his roots in the Danville community eager to offer his legal services to those who supported his early years. Patrick recognizes the privilege of being a member of the business community in Central Kentucky, which fostered the family business that he grew up in. The Barsotti family has a long history of community service and professional integrity throughout the area. As an attorney, Patrick understands that every legal matter demands a unique solution. As such, he enjoys working closely with his clients so that he can satisfy their needs and effectively advocate for their rights. Patrick received his Bachelor's Degree from Centre College and his Juris Doctorate from the University of Kentucky. 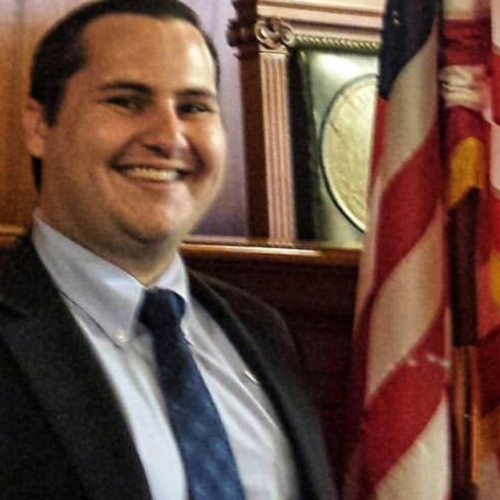 Patrick has gained invaluable experience clerking for state and federal judges, and serving as an Assistant Commonwealth's Attorney in Butler, Edmonson, Ohio, and Hancock counties. As a prosecutor, Patrick has developed a strong affinity for the courtroom, and he knows what it takes to be an effective trial attorney.